Funk Fest® is a music festival that began as a small concert in an outdoor venue in Mobile, Alabama. Since then, the music festival has hosted some of the biggest names in entertainment, including Frankie Beverly and Maze, the Gap Band, New Edition, Whodini, Big Daddy Kane, Betty Wright, Doug E. Fresh, Rickey Smiley, the Ohio Players, the SOS Band, Cameo, Erykah Badu, Charlie Wilson and many others. Funk Fest® celebrates the rich cultural heritage of “old school” music and has grown into a true celebration of human expression. The music festival currently attracts music enthusiasts from all 50 states to its specially-selected venues and adds significant tourism revenue to each city’s local economy. Funk Fest® is a music festival that began as a small concert in an outdoor venue in Mobile, Alabama. Since then, the music festival has hosted some of the biggest names in entertainment, including Frankie Beverly and Maze, the Gap Band, New Edition, Whodini, Big Daddy Kane, Betty Wright, Doug E. Fresh, Rickey Smiley, the Ohio Players, the SOS Band, Cameo, Erykah Badu, Charlie Wilson and many others. Funk Fest® celebrates the rich cultural heritage of “old school” music and has grown into a true celebration of human expression. The music festival currently attracts music enthusiasts from all 50 states to its specially-selected venues and adds significant tourism revenue to each city’s local economy. 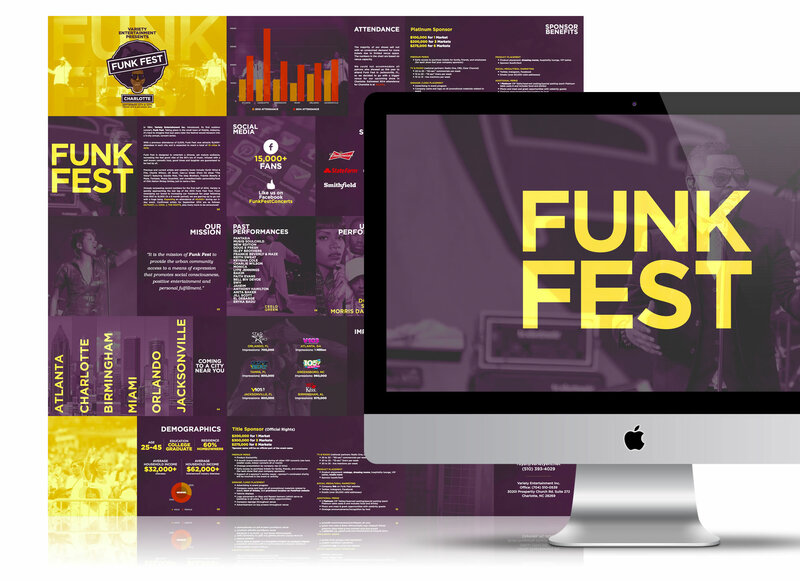 The Funk Fest team approached us with the task of redesigning and enhancing their brand, sponsorship package, and web presence. We had the privilege of awakening possibility for an organization that was already drawing tens of thousands of people to each of their events. Our overarching goal was to improve the Funk Fest brand in an effort to increase the visibility of their website, convert visitors to customers, and expand their sponsorship program. In 1994, Variety Entertainment Inc. introduced its first outdoor concert, Funk Fest, in the small town of Mobile, Alabama. Recreating the feel-good vibe of the 90's. Bringing Old School Music Back. The logo is the centerpiece to every brand. 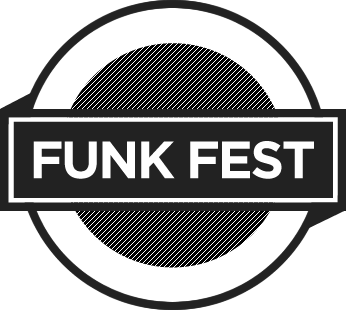 We were lucky to have a starting point to work with on the Funk Fest logo redesign. The original logo had already built a level of brand equity and trust over the years. Our vision was to remaster the logo and improve upon it. 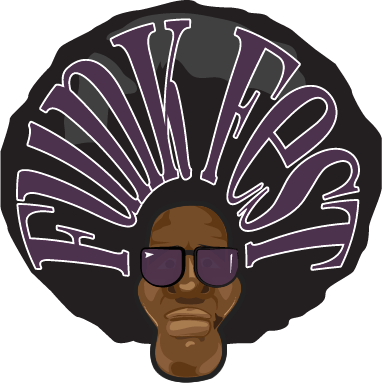 The original Funk Fest logo pays homage to the funk era, where the afro was the hairstyle of choice and a pair of large shades was considered a fashion symbol. 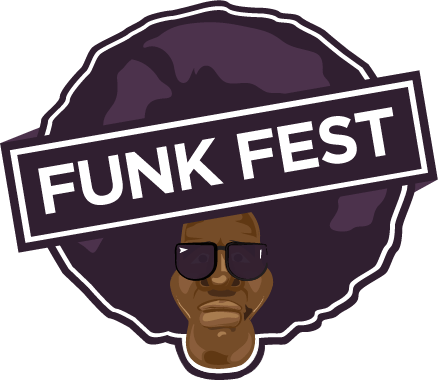 The logo was originally designed as an illustration of an African American man with a full afro, stylish shades, and the Funk Fest name imprinted in the afro. 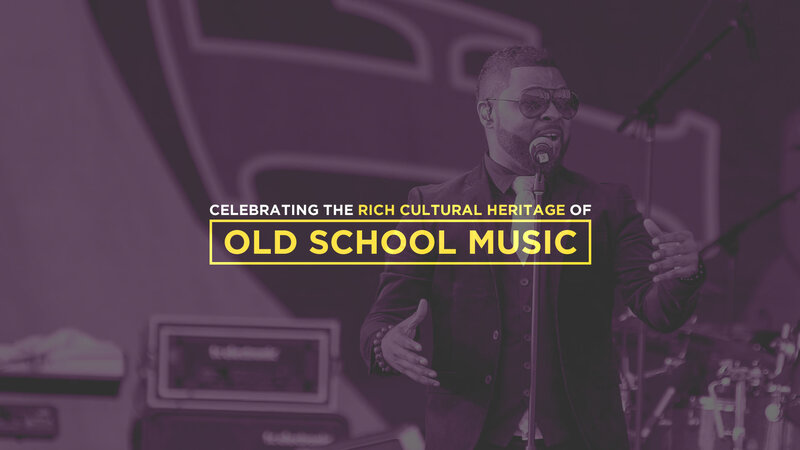 It has become a trademark for old school music and black culture. We decided to maintain the integrity of the original logo while adding a few additions to modernize the brand. We chose a more modern and clean all-caps font for the typeface and removed the Funk Fest name from the afro. We wrapped the name around the afro within a banner, retrofitted the color to a mauve purple, and outlined the logo to resemble a sticker. The Funk Fest Color Palette incorporates a Mauve Purple as the primary color to represent nostalgia, extravagance, and creativity, and a Honey Yellow as the secondary color to represent happiness, cheerfulness, and joy. Our research consisted of studying other music festivals who have successfully increased both attendance and overall awareness, learning about how the music festival industry works, and getting clarity on the vision and long-term goals of the Client. We used the information we gathered from our research to build a website that would appeal both to the Client’s target audience and potential sponsors. 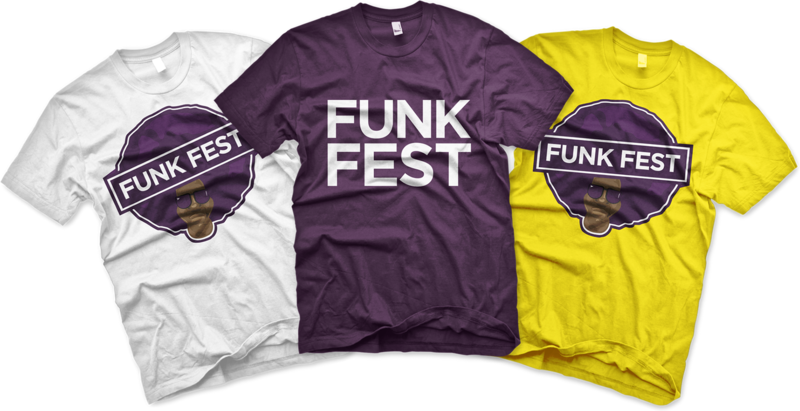 We designed t-shirts and a sponsorship package to be used for the promotion of Funk Fest and the solicitation of sponsors. Funk Fest aims to entertain a diverse, yet mature audience, recreating the feel-good vibe of the 90’s era of music.